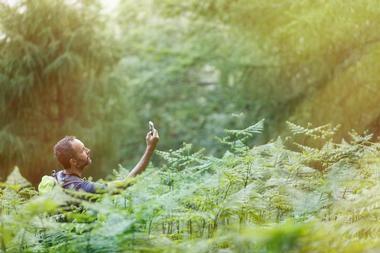 Geocaching is a popular activity, available in great locations all around the world. 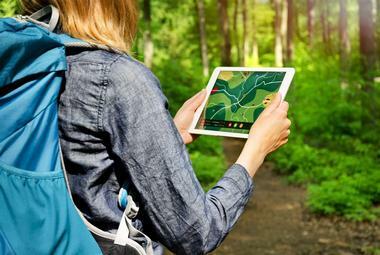 Affordable and family-friendly, geoaching lets you involve kids and grandparents to look for clues, have fun outdoors, learn how to read coordinates, go on scenic hikes and record it all with a user-friendly smartphone app or GPS device. 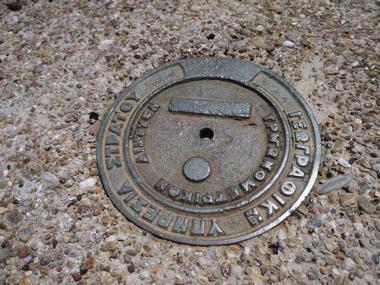 Many tourism boards sponsor geocaching adventures and fun events in popular vacation destinations which let you earn prizes such as limited edition geocoins. 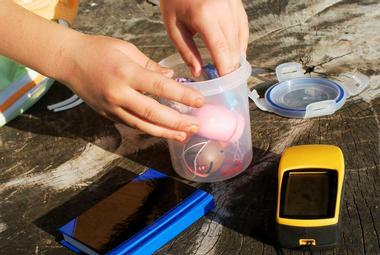 Our guide includes links to geocaching communities, preparation tips and advice on choosing the right equipment. Simply described, geocaching is a game in which players track down a "geocache" or "cache" (container), using a variety of navigational techniques combined with Global Positioning System (GPS) receivers. Geocaches or caches are usually waterproof containers that may contain any type of small items, as well as a logbook and pen for the winning player to mark their find. Step 1: Someone hides a container, known as a cache, wherever they like. Step 2: The cache owner makes a note of the geographical location of the hidden cache using their GPS device or smartphone app. Step 3: The owner registers the coordinates of the cache online and categorizes it based on how difficult it is to locate. There are several popular geocaching communities that you can join, discussed below. Depending on the difficulty, a cache can be a simple box, a camouflaged container, a fake rock or a camouflaged tree stump. If you go on urban geocaches, you will come across “Nano Caches” which are so tiny it’s hard to believe that they can store a logbook. 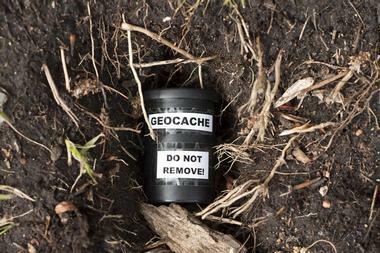 A cache usually contains a logsheet and pencil so that geocachers can record finding the object. It can also contain small objects such as beads, inexpensive toys and other items. Geocachers can replace an object in the cache with something of their own, following the rule that you much leave something of equal or greater value than what you take. You should never move the cache from its location because each cache owner is responsible for the placement of the box. You can either join one of the popular online geocaching communities or look at local town and state tourism boards which often have a web page about geocaching in the area, including fun geocaching events. The online community Geocaching.com (website) has over 10 million registered users (800,000 in the United States) and lists over 2.5 million geocaches in over 180 countries. Members provide feedback about the caches, so you can check if the item is still there before you start your search. Most tourism boards list their GeoTours on this community. TerraCaching is another popular community with an emphasis on high quality caches. New members are required to get a sponsorship from two existing members who are responsible for reviewing any caches that you list (website). You may also like Opencaching (website) and the Reddit geocaching page (website). If you want to see the most active geocachers around the world, check out Cacherstats (website). which ranks users with most finds. The Global Positioning System (GPS) is a space-based satellite navigation system that provides information such as time and location anywhere on earth and in any weather conditions. The system consists of a network of satellites. The way that the system works is that GPS satellites circle the earth in a very precise orbit twice a day, all the while transmitting signal information to GPS receivers on Earth. As these signals are received from the GPS satellites, this information is used to calculate the user's exact location and time via the ‘triangulation’ method. In 2000, the U.S. government discontinued a practice called ‘Selective Availability’. Suddenly, commercially available GPS receivers could determine locations with much greater accuracy and geocaching took off as a vacation activity. Smartphones are great for beginners – they win over GPS units because of low cost (about $9.99 for a geocaching app), and ease of use. However, serious geocachers eventually look for a dedicated GPS device which has greater accuracy, battery life, durability, and functionality specifically created for geocaching. Most smartphone and tablet apps will not function as well where there is no mobile signal, so if you are planning to geocache in a remote location, you will need to prepare differently as you would in a city. Geocaching with Your Smartphone: If you decide to get started with your smartphone, either find a free GPS navigation app which gives you latitude and longitude, or purchase a paid app. A paid app will let you find geocaches near you, log what you find and use an existing online geocaching account. Geocaching with a Dedicated GPS Device: If you decide to go with a dedicated GPS device, there are some great options below. 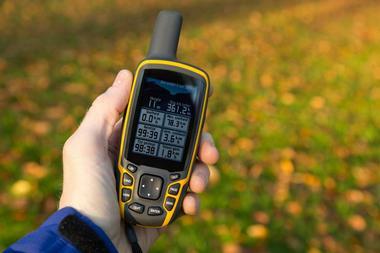 Important features to look for and compare include the accuracy of results, will you just get a latitude/longitude reading or also OS grid reference, how well the screen performs under challenging light conditions (bright sunlight or a night), battery life and durability (is the device waterproof). Also look for sufficient memory to load all the maps, USB connectivity, software for route planning, route recording and a built in camera. You may also like accessories such as car chargers, heart rate monitors, belt clips or bike mounting kits. Prices range from $92 for a Garmin eTrex 10 to $265 for a Garmin Oregon 450. Usually sponsored by local tourism boards, GeoTours reward you with limited edition geocoins and other prizes for finding caches in their destination. GeoTours offer a find way to get to know a destination because caches are often hidden near famous attractions. You can see a map of GeoTours and Reward Geotrails online here. The map will tell you who is sponsoring the GeoTour, type of a reward you can receive, and minimum caches required to obtain the reward. The map currently lists destinations in the United States and Europe. Another great resource for finding GeoTours is this page. 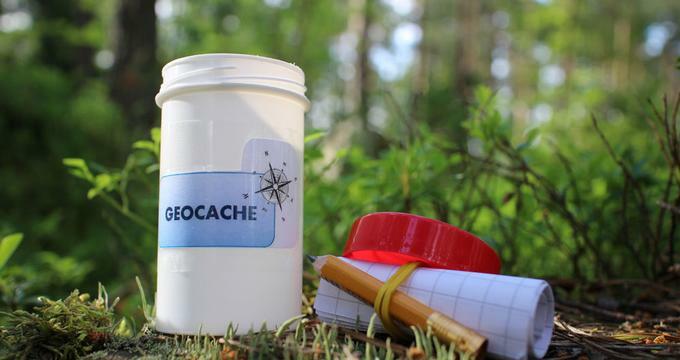 https://www.geocaching.com/play/geotours where you will find a listing of GeoTours, their difficulty, link to the official sponsor, and a Logbook recorded by geocachers who successfully found the caches. There are two main types of Trackables: Travel Bugs and Geocoins. A Travel Bug is a trackable tag that is attached to an item, which allows you to track the item’s progress. The item becomes a ‘hitchhiker’, carrying the Travel Bug with it when it moves from cache to cache and you can track its progress online through a unique tracking number stamped on it. Each Travel Bug can have a goal or task set by its owner, such as to travel to 10 different countries, or to reach Mongolia and the progress towards that goal can be tracked with the tracking number. A Geocoin is a special coin created by individuals that acts as a type of calling card or signature item. Similar to Travel Bug Trackables, each Geocoin is assigned a unique tracking number, which allows them to travel from geocache to geocache, whilst being followed online. 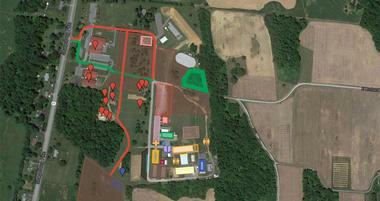 GeoWoodstock is North America's largest geocaching event. Players, vendors, fundis, and aficionados from around the world can get together and enjoy a variety of geocaching-related events. Held in a new geographic region every year, the festival, which started as a small meeting and has grown into a huge annual event, allows for lovers of the game to meet fellow geocachers, compare notes, hunt and explore the region and take part in a number of classes, seminars, and workshops. Geocaching vendors offer an array of the latest geocaching tools and technology, local clubs lay out geocaching courses to be explored and world-renowned geocachers share their secrets in seminars and classes throughout the event. The next event date is May 23, 2015 in Washington County, Maryland (website). As with any outdoor adventure in the wilderness, some careful thought and planning needs to go into your trip before you head off to find your cache. The most important thing to remember is safety first. No cache is more important than your safety and when you are out in the wilderness, it’s important to be prepared. 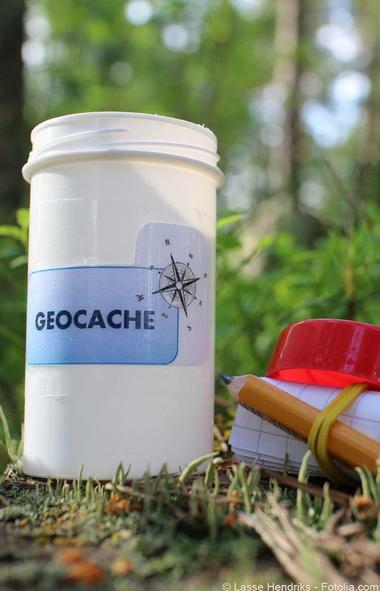 Do Your Research: Before your geocaching trip, find out if anyone has logged advice or had trouble finding the cache previously. Consider the terrain, weather and other environmental conditions to ensure you pack pack what you need to be safe. Bring a Friend: Treasure hunting is always more fun with a buddy – and far safer. While you have your GPS to help you find the way, you might be heading into dangerous terrain – it is always good to have someone with you. Go Prepared: Make sure you are prepared and have the right gear: good hiking shoes, a comfortable backpack, plenty of water and snacks, a first-aid kit, sunscreen, bug spray and a flashlight. Always take extra batteries – there is nothing worse than your GPS running out of juice in the middle of nowhere. Take a pen or pencil to mark the logbook and something small to leave behind if you want to take something from the cache. Be Alert: Always be alert and aware of your surroundings - keep looking up and around and watch out for wild animals if you are out in the bush. Find out ahead of time is you plan to hike in bear or moose territory and learn how to avoid running into them. Safety First: Recognize your limits and know when to stop. If the situation you are in calls for a change of plans, be flexible - your safety is more important than the cache, which will be there tomorrow.